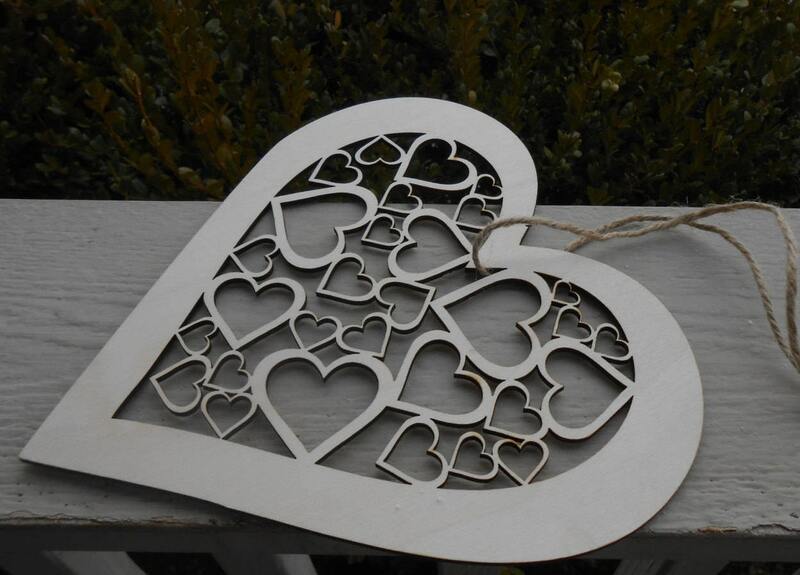 Heart Door Hanger. 9 Inch. 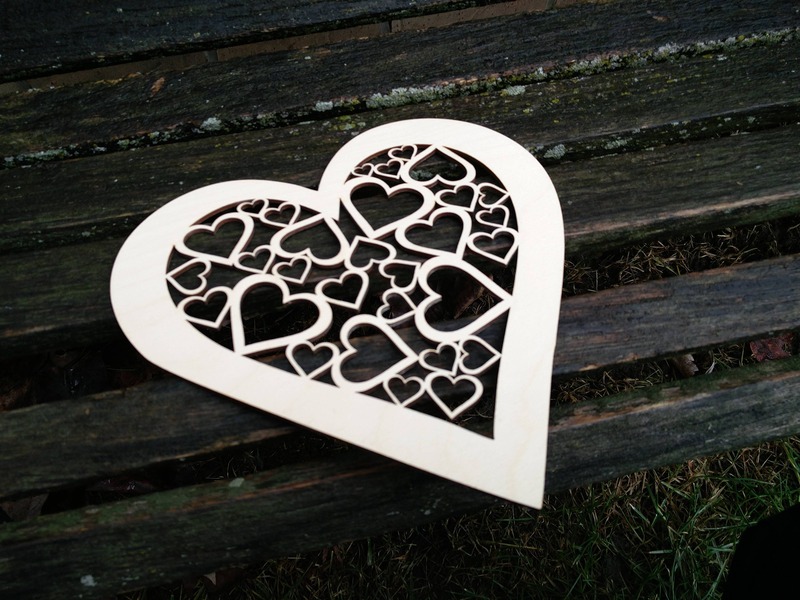 Large Laser Cut Wood. 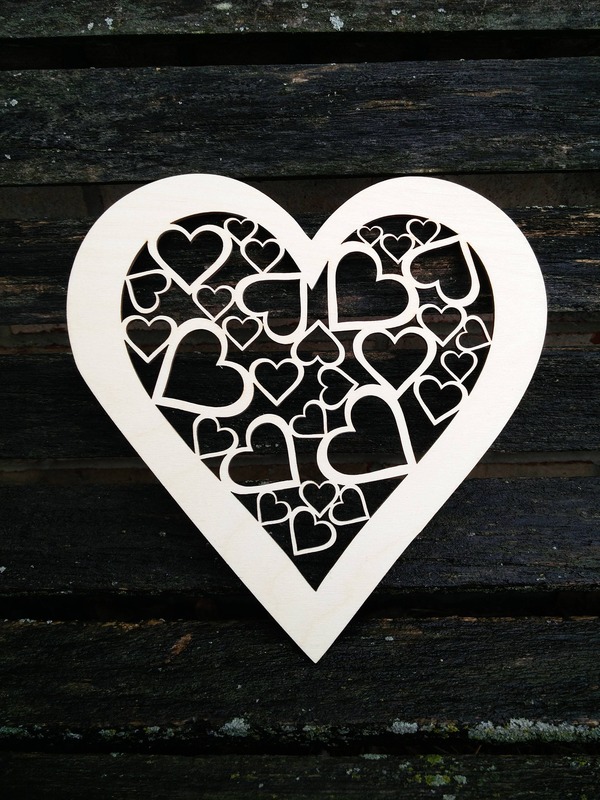 Kids, Valentine Decoration, Gift. Mom, Dad. 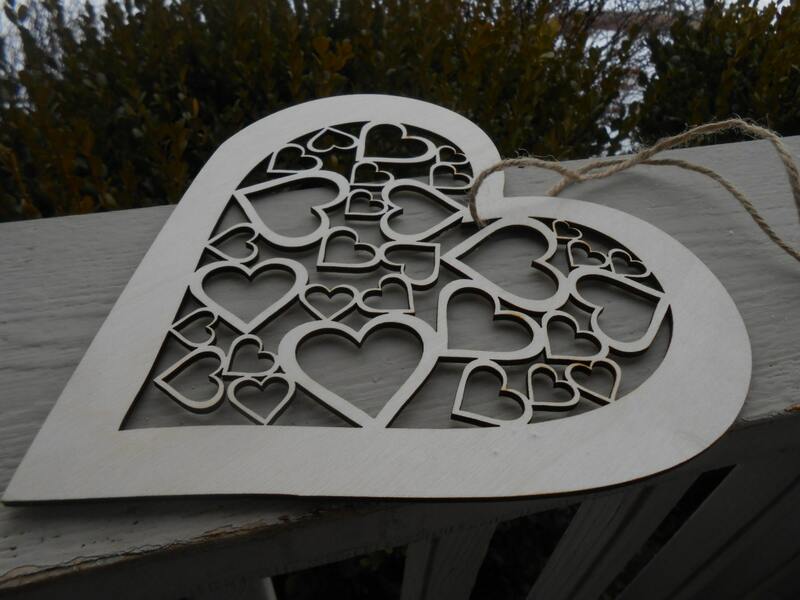 This heart is perfect to hang on a door or a wall! Or even from the ceiling. 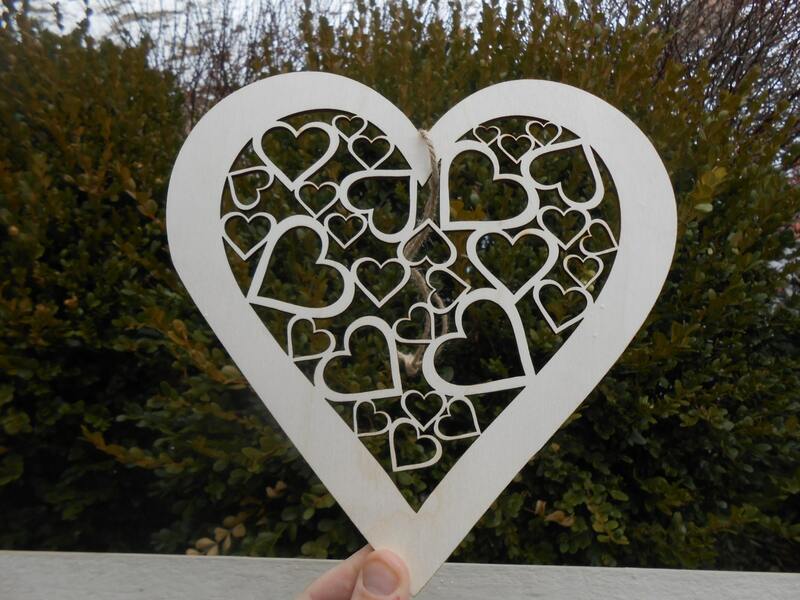 This listing is for 1 large, gorgeous heart, with lots of little hearts inside. 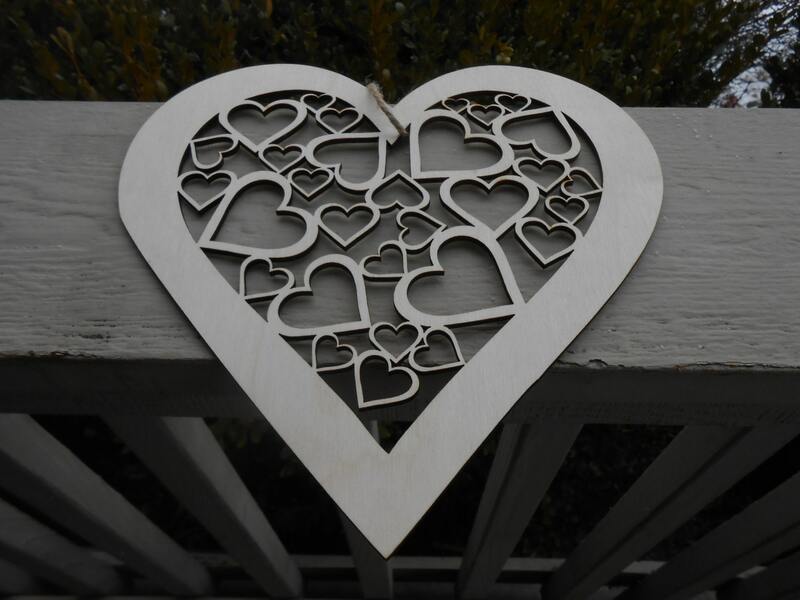 It is made from Baltic Birch wood, and measures about 9" tall and is 1/8" thick. These make a great gift for anyone! They also make really neat wedding decorations. 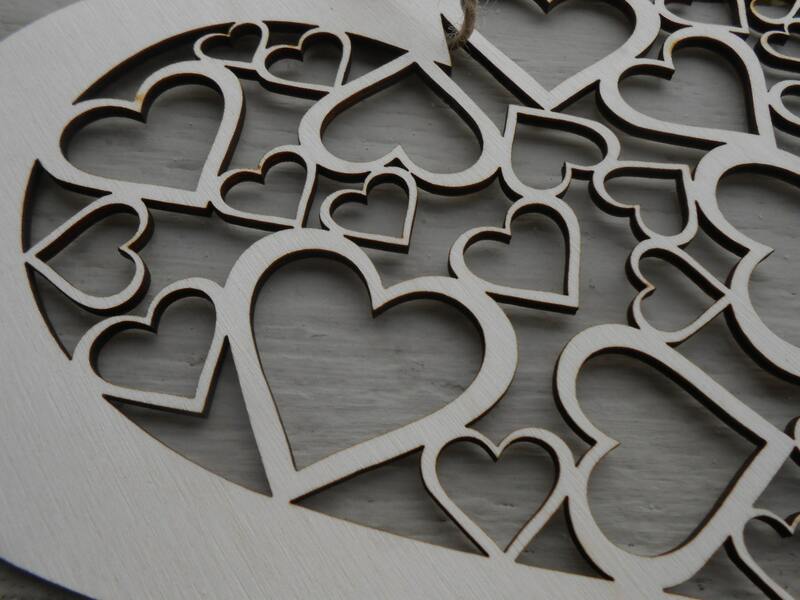 It is unfinished wood and looks great that way, but you can also stain or paint it.